Detroit’s oriental life will reignite the dwindling but constant fire between the Red Wings and Penguins. Rivalries are born in the playoffs, and they transform into something personal when slights are involved. Slights like Sidney Crosby, a player I’ve taken my time in becoming unfond of, prolonging the excruciating handshake ceremony at the end of the 2009 Stanley Cup Finals. Detroit will remember the disrespect Crosby showed their valiant captain, Nicklas Lidstrom, when the Swede made his final visit to the final round. This foul memory is reason enough to approach a regular season game with some passion. The charm of an Original Six matchup, something people seem to care very much about, does not increase blood-pressure quite as much. Should there be such a fuss over Original Six engagements? An intensified desire to defeat a team because it existed, as Detroit did, at the birth of the NHL is an insipid reason for resentment, but this is what the nature of Detroit’s relation to Original Six antagonism basically boils down to. Does anyone really care about rivalries from generations ago? Excluding Chicago, the last time Detroit was eliminated from the playoffs by an Original Six opponent was in 1993. So again, Chicago aside, what possible animosity could exist between Detroit and Toronto, or Montreal, or Boston, or New York at this point? This situation will obviously change since Detroit will be meeting these teams regularly in the 2013-2014 season, but as things are today, Pittsburgh, and its regaled captain, is the villain worth retribution. The charm of the Original Six is just that. Charming. “Yeah. Ok. It’s pretty cool,” is the appropriate reaction for fans not approaching retirement when told about the “good old days” of the Original Six. “F*** yeah. Let’s do this,” is the appropriate reaction for EVERYONE at the rink when #87 arrives at Joe Louis Arena with his band of braggarts. The subject of Crosby is critical to any discussion about Pittsburgh, and it’s an important one to hash out further. Crosby-critics often use a derogatory term for the female reproductive system to describe him, and this is an unjust criticism. When used as an insult, this term generally refers to cowardice and/or physical ineptitude. The just criticisms surrounding Crosby are aimed at his attitude. Too many of Crosby’s peers for too long have accused him of babyish behavior for there to be nothing to it, as Crosby himself suggests. “He does that kinda stuff all the time,” is how Jimmy Howard responded to questions regarding the scrum during post-game interviews. We don’t always see “that kinda stuff” happen, but I believe him. “Sidney Crosby is boldly going where no hockey player has ever gone before: He’s complaining about an innocuous hit from a hockey game two weeks after the fact, and he’s claiming ill intent. Hurley has a stake in protecting the Bruins from verbal abuse, so he will be inclined to take more offense than perhaps is necessary, but there is little to object to in his piece. As Hurley makes clear, the accusation that Chara deliberately attempted to aggravate Crosby’s injured jaw came from agent Pat Brisson, but where did Brisson get the idea to mention it? It’s likely that Brisson mentioned the incident for the same reason critics tend to bash Crosby: He was hearing ALL about it from his client. 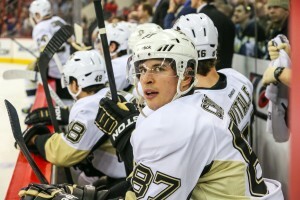 I don’t want to take up anymore time trashing Sidney Crosby. There’s no one outside Pittsburgh who can’t do it, it’s tired and there is another reason to get excited for this renewal of hostilities between the Penguins and Red Wings, as fun as neutralizing Crosby will be. As to who replaced Detroit as the organization others measure themselves by is debatable, but Pittsburgh is a convincing nominee. Detroit wants that honor back, and losing it to a team that repeatedly drafted very high, with little time passing in the interval, is annoying. “They had to tank to earn their glory. We did not,” is a common sentiment in the Motor City. Detroit would have to meet Chicago in the Stanley Cup Finals to avenge last season’s loss, but opportunities to avenge the humiliation of 2009 will arise more often now. Repaying two debts, like in some classic revenge film, in one postseason. 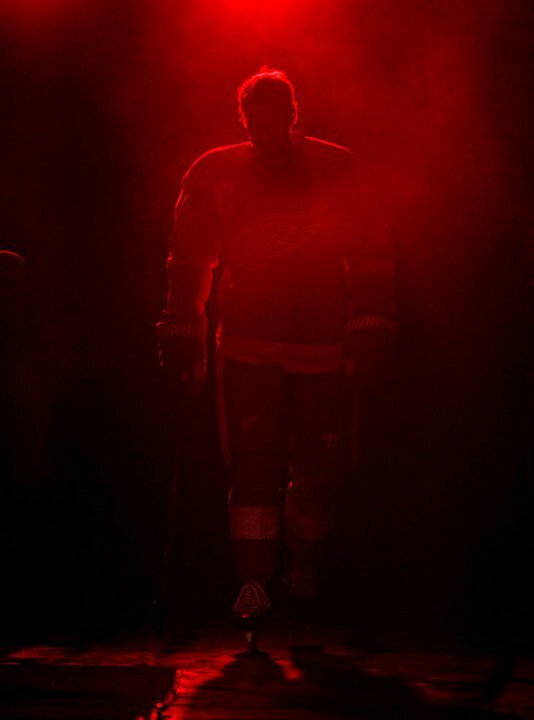 This is unlikely to happen, but Red Wings fans can further enjoy the move east by visualizing this manner of drama. A Stanley Cup next summer would bring Detroit closer to being the gold standard group yet again. “Yes, we can win,” Henrik Zetterberg answered when asked if Detroit could win it all in 2014. They will have to crush Pittsburgh, and crush them convincingly, to do it.